Rather than just playing Texas Hold Em all the time, many people playing poker at online casinos in the UK are starting to branch out into other equally enjoyable and rewarding varieties of the game, like Omaha poker, Razz and many more. But what if you’re an eclectic player, who finds it hard to choose between one variant and another? Is there no way to just play them all? Mixed games offer the opportunity for you to mix poker variants at online casinos. The most popular kind of mixed game poker is horse poker. Horse is perhaps the most diverse mixed version of poker. Horse comes from the first letter in the name of each variant that horse includes, that is: Hold em, Omaha, Razz, Stud and Eight or better. It’s normally quite a high stakes game, designed for more experienced players, and is often included in tournaments. HOSE is another mixed game which is the same as horse except it doesn’t include Razz. There is also CHOSE which includes chowaha. In horse poker, each variant is played one after another, usually in the sequence that they are listed in the name (so: Texas Hold em first, then Omaha second, then Razz third and so on). Usually the game will shift from the current poker variant to the next one once the dealer button has made one full round of the table. 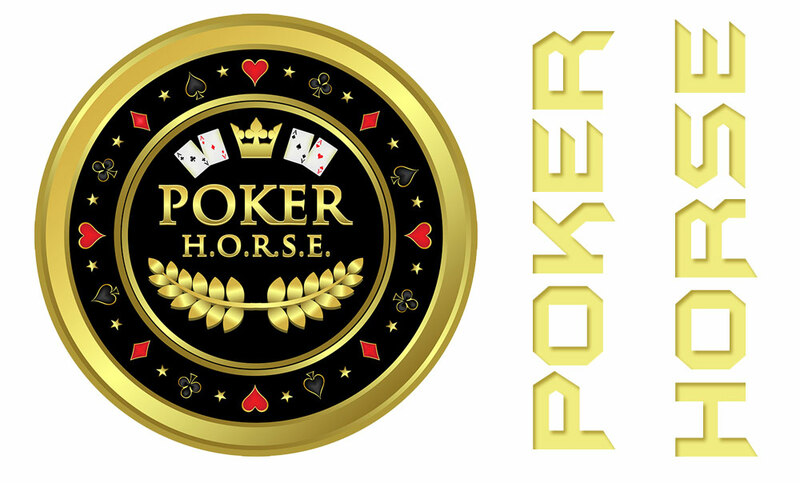 In a mixed poker game like horse, the first thing that must happen is for all the players to agree on which games will be included in the game rotation, and the order they will come in. Unanimity is sought if any player wants to make a change to the structure of the game. Some games like Stud do not normally include a dealer button, but in horse the dealer button must always be included to keep track of how long the rounds of Stud will continue until the next poker variant begins. This is the only purpose the dealer button serves in these circumstances. The order of the variants included must be announced to everyone before the first hand is dealt. After this, a sign will normally be placed in the middle of the table to remind everyone of the variant that is currently in play. If a sign is not there, make sure to keep track of the dealer button and remember the horse acryonm. It is technically not against the rules to leave the table before all of the variants have been played. However, it is generally expected that all players will remain for the full rotation of variants; staying in only long enough to play the variants that you are most confident in, and dodging later ones that you don’t like, will generally be seen as against the spirit of the game and may cause friction. The point of a mixed game is to play more than one variant, so only join such a game if you are prepared to do so. – Texas Hold Em, as the most familiar variant, will be most players’ strongest game. This is not the time to go on the attack, as it will be more difficult to outsmart your opponents. Play tightly and avoid bluffing. Treat this as an introductory round to help you get into the swing of things. – Omaha will be most players’ second best variant. However, players who spend a lot of time playing Texas Hold Em will often bet too much on weak hands when switching to Omaha. This will allow you to take advantage of them; look for which players are making the most mistakes, and try to target them. – Razz is often the weakest game for most players. Make sure you known exactly when Razz has started, and remember that Razz reverses the hierarchy of high and low hands compared to Texas Hold Em and Omaha, otherwise you could end up losing a lot of money through silly mistakes. Play tight but aggressive, pushing hard and only playing with very strong hands. – Stud allows you to bet thinly, but playing a tight and aggressive game is still the best strategy. Bluffing is unusual in Seven Card Stud, because you can normally figure out roughly what a player’s hand is from their face up cards. Have fun with horse poker games! If you’re looking for a way to sate your appetite for more variety in your online casino UK gaming, have a go at horse poker. Good luck!